José de Jesús Rodríguez will play at Torrey Pines this week. Every week GOLF senior writer Michael Bamberger identifies — and ranks — the absolute, undeniably, very best things in golf right now. 7. Best Subtle Tell of Golf Skill I used to think I could tell if a guy could break 80 by the angle of his bag across his back on the walk from the parking lot to the first tee. Over the years, it has proved to be semi-reliable. After attending the LPGA season-opener, a four-day, no-cut, tiny-field pro-am in Orlando, I now have a new tell. Jack Wagner, most famous for his acting work on “General Hospital,” was one of the ams. At the end of the third round, I watched him tally his scorecard using his right thigh as a writing desk. He was writing down the numbers quickly. There was no looking up. There were no finger points in the air, recreating the shots of holes gone by. I later learned that he’s been the club champ or runner-up at Bel-Air in Los Angeles 20 or so times. But it’s the card-on-thigh thing that really stands out. He’s a stick. John Smoltz was one of several former MLB All-Star pitchers at the LPGA opener this past weekend. 6. Best Five-Man Rotation from LPGA Opener An embarrassment of riches. Roger Clemens and Greg Maddux, one and two. Jon Lester is your third-day starter. Then Tom Glavine for the fourth day with Josh Beckett as a very nasty fifth man? But what about Derek Lowe and Mark Mulder and Clay Buchholz and John Smoltz? OK, Smoltz could close, fine. But could you really ask Lowe and Mulder to get their innings in as set-up men? Starting pitchers are always the best golfers. They’ve got the time. 5. Best Resurfaced Quote I hadn’t thought about former junior golf-sensation Ted Oh in years, until I was watching Lydia Ko play at the Tournament of Champions. Oh is now her teacher. When I heard his name, I had an instant flashback to his press conference at the 1993 U.S. Open, at Baltusrol, in which he competed as a 16-year-old. I don’t know if Google will back me up here, but I remember somebody asking how he got into golf and he said, “I liked driving the carts.” Now he’s 41. 4. Best Writers-Count-Too Quote Ever! While we’re at it: Tom Watson played well in that ’93 U.S. Open. (I did google that one: T-5.) He came off 18, and Steve Melnyk, working for ABC, collared him for an interview. A bunch of writers wanted him, too. Deadline scribes were asking Watson questions before ABC’s red light went on. Melnyk said, “Do you mind guys? I’m live.” I was standing next to the late, great Times-man Dave Anderson when he said, “Hey, Steve—we’re live, too.” 3. Best Golfer on My Flight to LAX It’s gotta be Jack Wagner. 2. Best Thing at Torrey Pines This Week Yes, Tiger’s playing, Rory’s playing, Justin Rose and Jordan Spieth and blah, blah, blah. 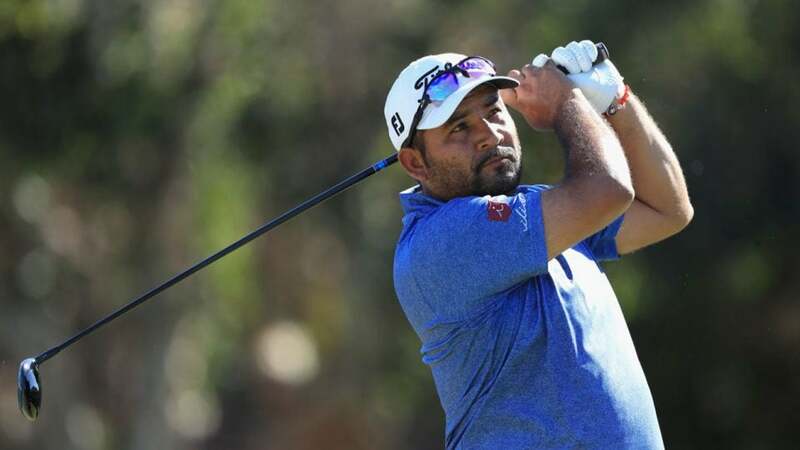 The true POI (person of interest) in the field is José de Jesús Rodríguez, the 37-year-old Tour rookie and native Mexican who made it to this country by walking across a river. No, it was not a legal entry. He’s legal now, and he’s good. He had a T-28 at the Desert Classic and has now played seven Tour events and made five cuts and $101,000. That’s not a great sum by the funny-money standards of the PGA Tour. It is of course a fortune for any working person in Mexico. Alan Shipnuck’s excellent story of this extraordinary life has already run on our website in English and Spanish. Torrey Pines is about 30 miles from the U.S.-Mexico border. San Diego County has about one million residents of Hispanic or Latin descent. To keep the starting pitching theme going, when Fernando Valenzuela, the native Mexican left-hander, was the Opening Day pitcher for the Los Angeles Dodgers in 1981, Fernandomania shook the place. Imagine the turnout this week if Rodriguez contends, or if he gets paired with Tiger. Whoa. Magnifico. I can’t wait to see him. 1. Best Golfer at United Baggage Sunday at 10 p.m. Not Jack Wagner. Some might say Steve Stricker. I’m going with Lee Janzen. Those two were coming back to the mainland from the senior event in Hawaii. Lifers. Michael Bamberger may be reached at [email protected].